Rubaiyyat Thakur Robin, James' manager, confirmed the news saying, "James has sung two songs for the second session of Wind of Change. The first song, 'Taray Taray,' is based on a peom written by Shamsur Rahman and a track from Nagar Baul while the second one, 'Meerabai,' is written by Marzuk Russell and a track from Thik Asey Bandhu." On August 20, James along with the foreign musicians took part in the shooting on the second floor of BFDC. James's responded to this effort by saying, "This is an extraordinary programme. I have gone through new experience working with the musicians from other countries." Wind of Change is a live musical show, where performances are seen from popular local artists. What sets the show apart is its inclusion of artists from all around the world to perform with the local artists of Bangladesh. 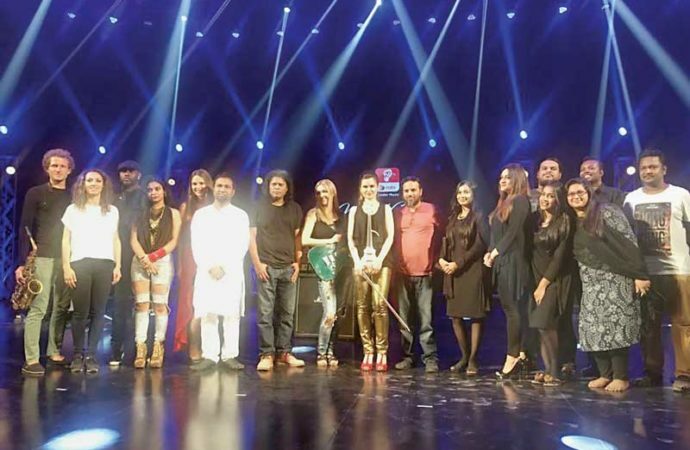 Similar to Coke Studio, the program has already received positive response from the audience in its initial stage of broadcast. Produced by Kaushik Hossain Taposh and Farzan Munni, the second session of the programme is made under the TM Productions. Like the previous session, the second session also features foreign musicians including Anna Rakita (violin), Anton Davidyants (bass), Mohini Dey (bass), and Nelli Bubujanca (drums). The sound engineers who worked in the programme are those who worked in MTV India's Unplugged and MTV India's Coke Studio.